Well actually I made it, but for obvious reasons I couldn’t write that as the title of my blog post! After my post the other day about wanting to make a heart motif for the centre of my blanket I tried out this pattern which a lovely fellow blogger suggested. It worked beautifully and was lovely and simple but pretty at the same time. My next job was squaring it off. It took at least 3 attempts, a lot of frogging and one or two muttered choice words but here it is! I really like it as a first go at the pattern. I might even make some more using different coloured hearts and refine the pattern a bit. It’s not perfect but it is the effect I was aiming for (just about!) I think on my next attempt I will only work into the back loops of the heart so it still has it’s shape. I’m linking this up to wool on Sundays with Janine at Rainbow Hare. Previous Post Is This Love? Yep, definitely a heart and a lovely one too. I think you should have gone with the other title for your post though – imagine how many views it would have got! It’s not that kind of blog haha, but yes. Imagine the disappointment upon reading to find it is only a post about crochet! Thank you, it was more luck than judgement I think! You did it! so pretty! That is very pretty. Is ‘frogging’ a technical term? I think the other title would have been fun too, ha ha. What a great idea & a great pattern! I look forward to seeing the finished piece! lol – it’s okay, I’m the same way, especially with modular projects. I’m all excited at the beginning but then they somehow become a chore, unless I find just the right TV series or podcast to keep me going while I work. Sorry pressed reply again by accident! Yes, I’m similar. I can’t stick to just one project for ages. 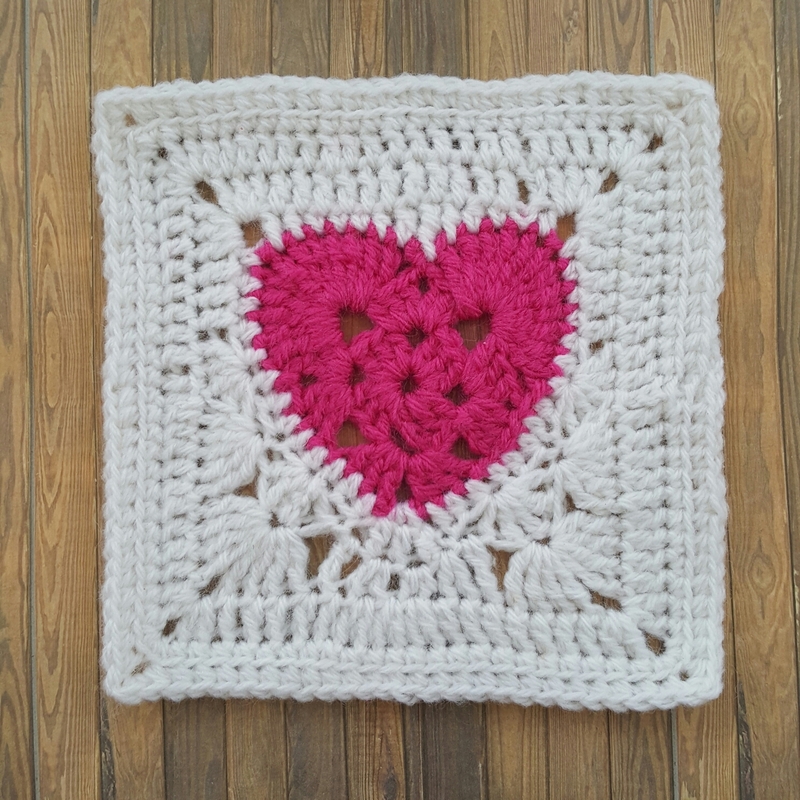 I love your heart square; it looks great!! !